Today morning a notification from Facebook caught my attention. It reminded that it’s been one full year since I had taken the sabbatical from my job at MobiKwik. I had earlier seen how amazing the experience of traveling in the mountains of Nepal was. 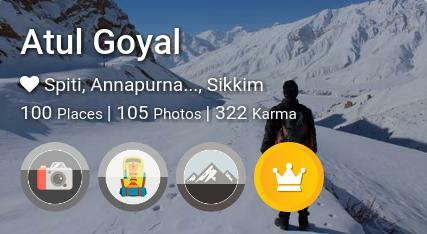 Where I went solo trekking the Annapurna circuit during a month-long break earlier that year. I knew gathering material possessions didn’t excite me. I had some savings that I could use efficiently. And I had this wanderlust (what a cliche this word has become!). To put it differently, I like traveling far, and experience the hidden secrets of nature as well as those of different cultures. Knowing that it would inevitably come with some extreme challenges — which attract the crazier me like anything! So as I came back home from the last day at the office, I packed my bag to leave for Ladakh, with a one-way ticket, where I was going to trek the Markha valley. This is one of the classic tea-house trails of India and the experience was indeed very rewarding! Laddakh. Same country, yet worlds apart. After Markha valley, I took a bus to Spiti and in all, I stayed for more than a month. Tried to capture parts of my Markha and Spiti experience in this video if you’d like to see. After Spiti, it was a time for North-East and I left with another 1-way ticket for Sikkim. Picking up free lessons everyday in Sikkim. Photography. Videography. Business. Life. So glad I extended my stay. In love with this place! I made some amazing friends, got to see incredible places and since I didn’t have any fixed plan I ended up spending more than a month in Sikkim and Darjeeling. After which, I went for a quick week-long trip to Meghalaya with new friends I made in Sikkim. During these travels I had been validating the idea of a travel startup that I’m currently working on, while talking to different travelers. Those discussions and the problems I had myself faced showed signs that there is a gap in travel discovery that I can probably help plug. By the time I came back home, it was winters and a dream in queue was to see Kinnaur and Spiti in winters. Time to fulfill the dream! Landing in Kinnaur with non-stop snowfall was an out of the world experience. Challenging, yet extremely rewarding. And while it was my third trip to Spiti, the surreal winter Spiti had great adventures in store. The magnificent Key Gompa. The crown jewel of Winter Spiti! 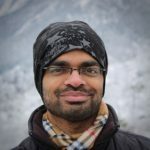 Coming back home was when I talked to — my now cofounder — Prakhar who was also excited about the idea of MyWanderlust.in and since we had closely worked with each other, we knew that it was a perfect team. And he put in his papers! For some guidance on building the Minimum Viable Product, we applied for the 10 week remote program called StartupSchool by YCombinator and luckily got in! Our presentation at the end of the program was our first showcase of the product to the outside world. After spending next three months getting our startup incubated and working with a few brilliant interns during summer break at the very helpful incubation center of our alma-mater IIITD, we decided that we wanted to continue working on the startup while traveling the country instead of calling one place our base. And with that started our South India trip where we are making progress with the startup while also exploring this amazing part of the country. 3 weeks in Mumbai + Hampi + Gokarna. Now on the way to #GodsOwnCountry Kerala 🌴! Startup + backpacker life combo working out. Dream for me. In fact, I’m typing this post listening to the sound of the rain outside the window of my room in Alleppey which has been our temporary base for more than a week now, and where we also launched beta version of MyWanderlust. (the announcement of beta here). After having explored the beaches, the backwaters and the amazing Kerala cuisine in this welcoming slow paced city of Alleppey, it’s time to move out and resume exploring more of this Gods Own Country, Kerala. Next hop — Varkala, here we come! If you made it this far, thank you for reading! Let me know if you’ve any questions in mind or anything I could help you with. Also, if you like, checkout my travel journeys. Or create yours and MyWanderlust will help you share your travel experiences with the world! Or start here for some travel inspiration.